Perfect for children ages 3 to 8, this beautifully illustrated activity book leads children into an exciting exploration of the Catholic Faith in an active, fun way. Packed with more than a hundred learning activities such as coloring pages, word searches, and crossword puzzles, children are sure to grow in love and knowledge of God. No other activity book can claim to combine the talents of the most gifted illustrators with accomplished catechists. Here's the one book you'll want to give to every child you know. 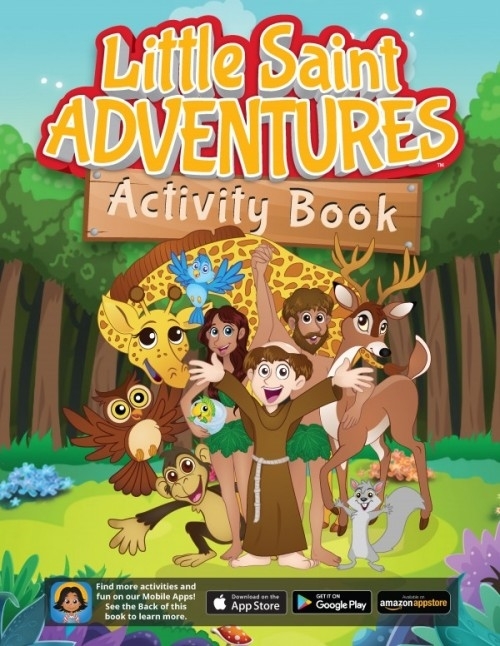 With over 50 faithful, engaging games, the Little Saint Adventures features five worlds with different learning themes, interactive Bible stories, and quizzes and games all created by trusted Catholic educators. Best of all, the innovative parent portal will notify you about your child's most recent activities, helps you strengthen and reinforce what they are learning, automatically sends you related conversation starters, and features fun activities to do with your children offline.